Quebec City is one full of vibrant restaurants and is one of the oldest settlements in North American. It is a culture that is a mix of European settlers from many countries. That has seen its culinary scene filled with a delectable selection of different dining options. Regardless of the time of year, finding a hotspot showcasing the culinary scene in Quebec City is not difficult at all. Whether that is street vendors, cafes, pubs or restaurants, the bounties are plentiful and include fresh local produce, baked goods, cheeses, wines and more. The fact is, Quebec City’s culinary scene is both a historic and international influences. 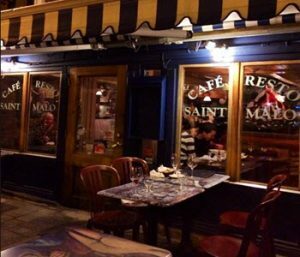 The Café Saint-Malois named after a fishing village in France. It is one that fills you with a feeling of old world charm, and since 1982, its chefs have been delighting the taste buds of patrons with French onion soup made to cassoulets loaded with seasonal ingredients. It is the perfect spot for lunch or dinner and is only steps away from the Rue Saint-Paul antique district. Panache is another favourite of ours. Located near the St. Lawrence River, in the hotel Auberge Saint-Antoine it focuses on modern cuisine and has put Quebec City on the map with its creative dishes. This is more of an upscale restaurant that offers stone walls with exposed beams that together create an environment that is laid back, yet chic at the same time. Le Saint-Amour is a well-known restaurant in Quebec City having been in business for 40 years. 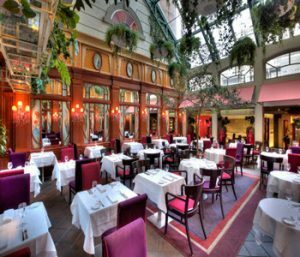 It is located on Rue Sainte-Ursule and with Chef Jean-Luc Boulay at the helm, it is one that will delight you from beginning to end. Guests have the opportunity to dine in its greenhouse or its garden room and the food served with surly please. If you are looking for the best place to sample poutine in the city, follow the locals, and Le Chic Shack is the place they go when the lure of French fries, gravy and cheese curds are the call of the day. The owners of Le Chic are the same duo that operates Panache and offer their version of this famous French Canadian delight by mashing the potatoes prior to frying them. Add in local cheese, fresh herbs and their special black-pepper gravy, and your taste buds will thank you. 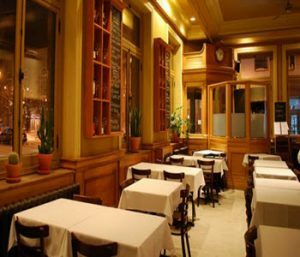 Le Clocher Penché Bistrot is found in the cities Saint-Roch district. This restaurant focuses on fresh local ingredients sourced from Quebec’s farmers such as the organic vegetable farm, Ferme des Monts. They include lunch and brunch dining options as well as dinner.